The Kookey Chefs are the brainchild of Kim Morphew…thats me! 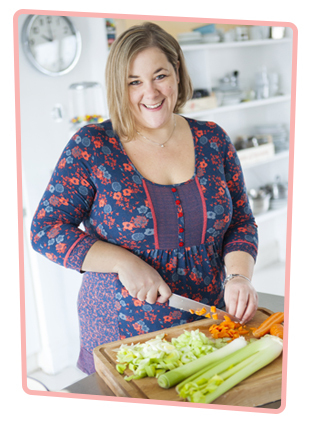 I have been a food writer and stylist for magazines and books for over 14 years. The Kookey Chefs were created out of a love for teaching people how to cook and because I had noticed a lot of my friends weren’t cooking with their children, either because they thought they couldn’t cook or just didn’t know where to start. So, I created The Kookey Chefs. They are a team of cheeky monsters from planet Kooktron. The books have easy step- by-step instructions to make delicious dishes. Everything is simple to prepare, fun to cook and truly scrumptious to eat. Along the way The Kookey Chefs share top secret kitchen tips and things to do, plus what to look out for when shopping for ingredients! My main aim when developing the recipes is that they weren’t just another book with pizza faces and potato boats. The recipes make delicious quick dinners for the whole family, that parents and children can cook together. I believe that cooking should be fun, educational and that it can promote a healthy lifestyle for kids. Cooking helps the development of fine motor skills and hand-eye coordination, it increase vocabulary and reading comprehension skills from following recipes. It also helps to develop math skills and logical thinking, but most importantly kids get a great feeling of accomplishment when cooking and eating their finished dish. So I hope you and your family will fall in love with The Kookey Chefs too, and together help create a new generation of Kookey Chef Apprentices.